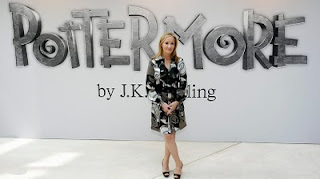 For those who haven’t heard Pottermore is the latest addition to JK Rowling’s empire. It’s a website she’s dedicating to the fans as a thank you and it’s entirely free. It is also the only location where you can purchase the Harry Potter series as ebooks. To watch J.K. Rowling’s introduction to Pottermore video click here. Pottermore will essentially allow it’s users to participate in the Harry Potter world from the start of the first book, including activities like being sorted into a Hogwarts house. ﻿Recently, over a seven day period, the website launched a contest for early access to the site. One million people were able to answer questions relating to the seven books of the Harry Potter series. One question was made available each day at a random time and only as long as it took to fulfill the quota of registrants for that day. 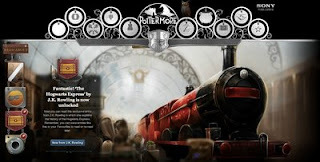 The answers to the questions were entered into a web address that redirected the user to a Pottermore related site (e.g. Sony a sponsor of Pottermore) where the user can find a magic quill. The magic quill then took them to the registration page for beta users. I was lucky enough secure a spot as a Pottermore beta user. I’m more than a little excited and not just because I’m a Harry Potter fan and will be helping shape the Pottermore experience but because of what Pottermore means to the publishing industry. So, what does it mean? Starlight CEO, Jeff Gomez, identifies in an interview to Forbes that Pottermore will be playing a vital role in the development of “transmedia story telling”. “In today’s interconnected world, our attention flows from our computer screens to our mobile screens to our TV screens without our giving such activity a second thought. The problem has been that the stories we enjoy don’t do that; they don’t behave the way we’ve come to need them to behave. So what we get is repeated and repurposed content: Avatar on our iPhones, High School Musical on Ice. Transmedia storytelling is a technique rising into prominence in Hollywood and on Madison Avenue that allows for the development of robust “story worlds” that play out across multiple media platforms." Gomez identifies that the producers of Pottermore are creating "a communal storytelling engine". Pottermore is expected to succeed where most movie studios have failed, by creating an official, singular location where a large fan base can be galvanized to enter, and then have their widlest dreams fulfilled. So, what does this mean for other books and products? Pottermore is paving the way for any product to be launched with fanfare and for any aspect of massive continuity to be explored. 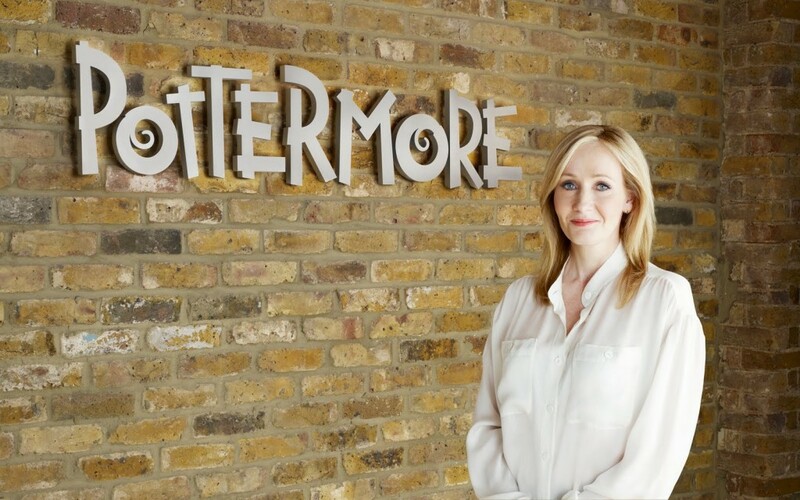 If it delivers on its promise, Pottermore, will change the way entertainment content is produced, shared and sold. Is it any wonder I'm such a fan of J.K. Rowling's work? The rest of that fascinating interview with Starlight CEO, Jeff Gomez can be found here. JK was on the tv in the UK last night doing "Who do you think you are?" which involves the celeb looking into their past. It was fascinating, she had relatives in France, she spent most of it tears (so did I!) as she found out most of her relatives had been single mothers. She also had a great grandfather in WW1, who she later found had been buried in a communal grave and she was distraught. A real insight into a very private woman, great viewing! I hadn't really cottoned on to Pottermore yet, although of course I was aware of it, I'd have to be living in outer mongolia not to have. Very interesting concepts, and of course JK is the perfect person to lead the way in the field. Will be reading posts to find out more, Lacey! Wow - that's awesome that you managed to get in there as a beta tester. Hope you have a great dela fo fun with Pottermore! Scarlet - I have my fingers crossed that that episode will end up on youtube or similar. I sounds even better than what I'd read about it. Caroline - I'm so jealous. I really want to see it. It would be very interesting to see that other side of her. Sally - I think it's going to be incredible and I can't wait to see what the industry does with the concept. You've got to love the internet! "Who do you think you are?" was terrific - very moving. Hopefully your local tv station will show it - or maybe you'll be able to watch it online. 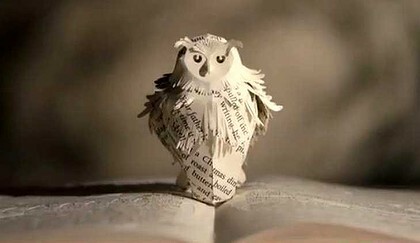 I adore Harry Potter, books and films, so I'm sure I'll love Pottermore. Suz - I really hope I can track the video down some way. I'm pretty sure we don't get the UK version.